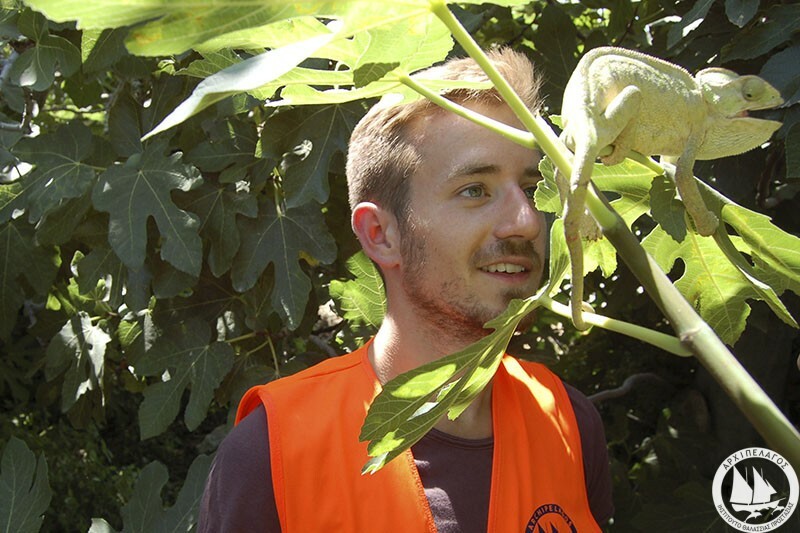 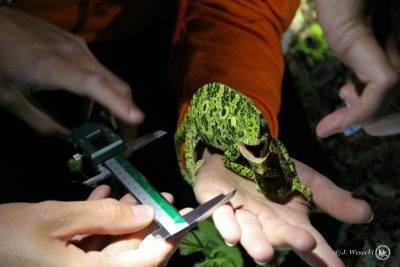 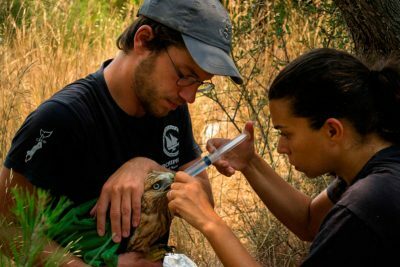 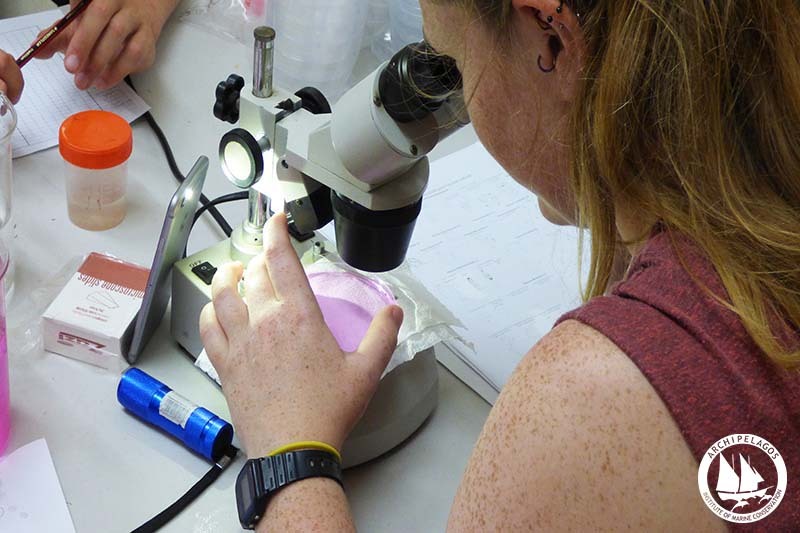 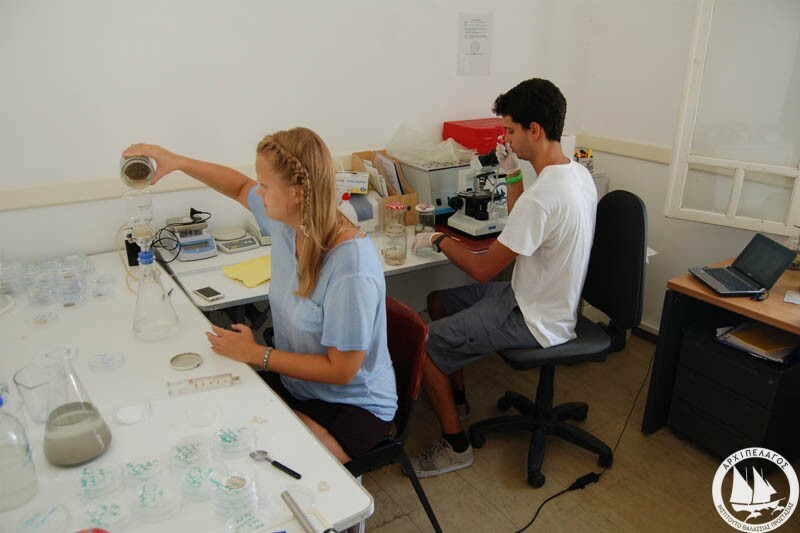 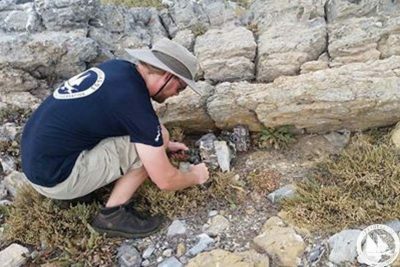 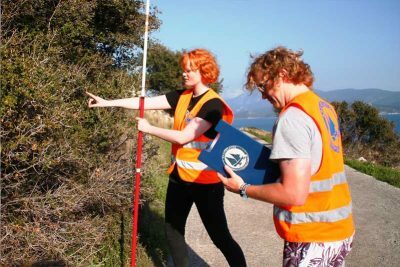 Graduate, students and volunteers are welcome to apply for an internship, with the aim to enrich their knowledge with the practical experience of working in hands-on field research and conservation projects (see below the possible project areas). 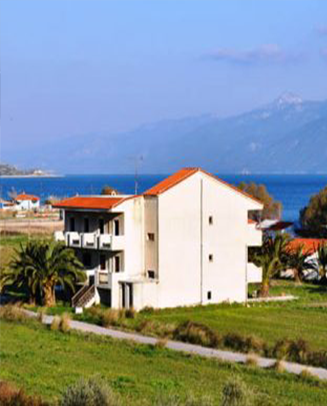 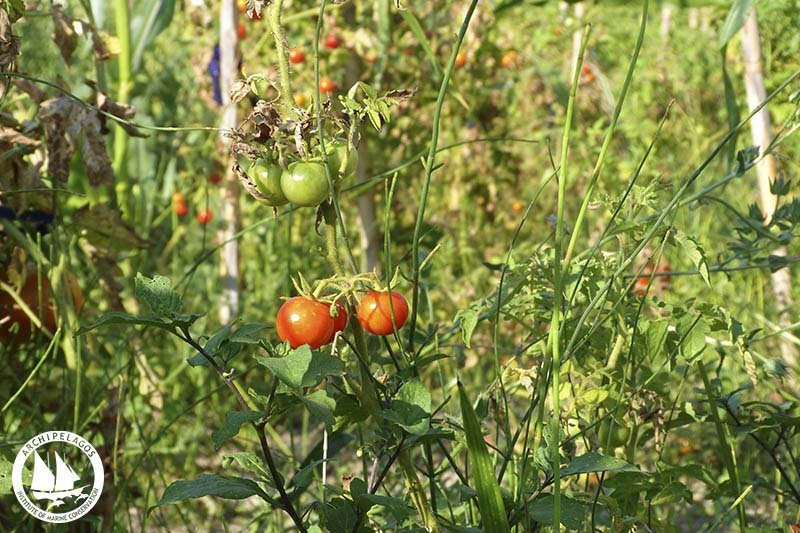 These take place within the beautiful landscape of (Samos and Lipsi) islands in the eastern Aegean Sea, Greece. 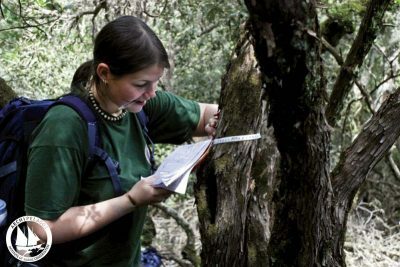 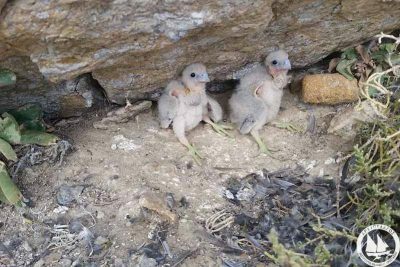 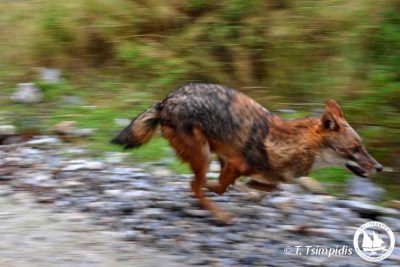 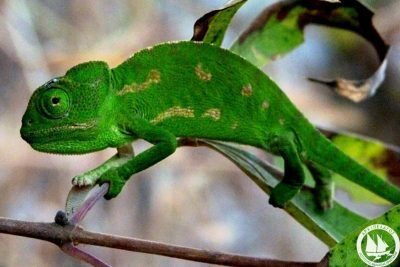 They address a number of key conservation and scientific issues, which relate to the protection of the rare biodiversity in the region. 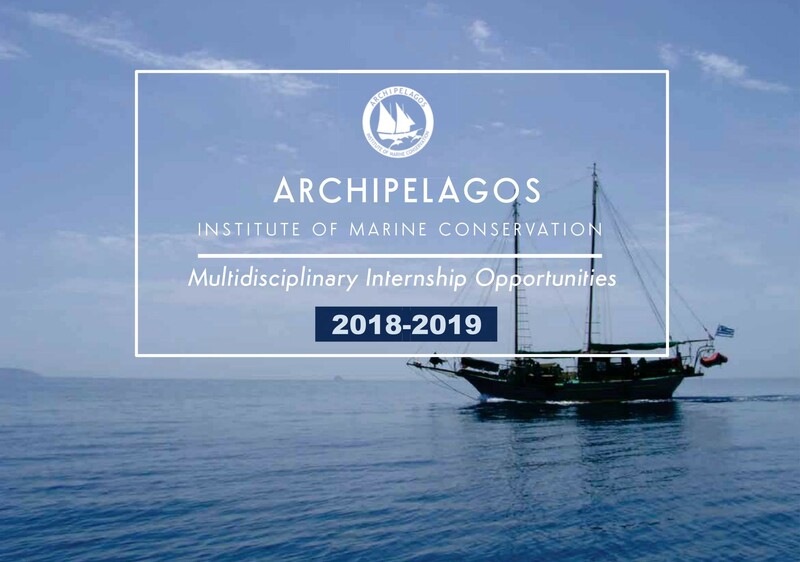 The goal of Archipelagos’ internship program is to provide participants with research experience in the field, contributing directly towards the future of this unique ecosystem. All internships are geared at developing your leadership and independent research and study, allowing you to develop a variety of abilities, which can improve your future job prospects. Browse our Placement Guide with the latest internship opportunities in pdf version. 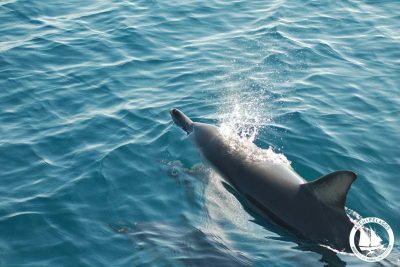 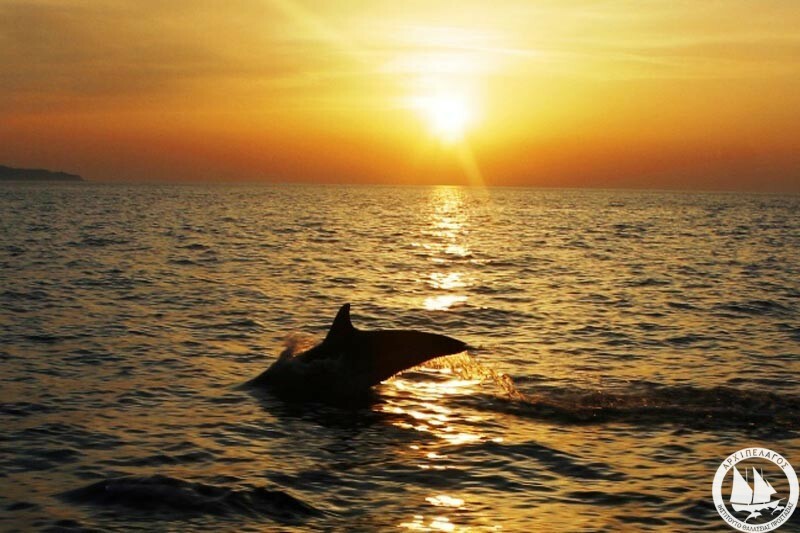 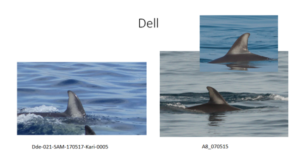 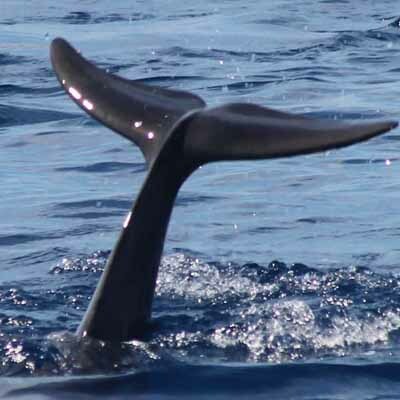 Using a dedicated marine mammal research boat surveys focus on monitoring the abundance, distribution and behavior of dolphin populations (common, bottlenose, striped and Risso’s dolphins), as well as whale populations (sperm whales and Cuvier’s beaked whales). 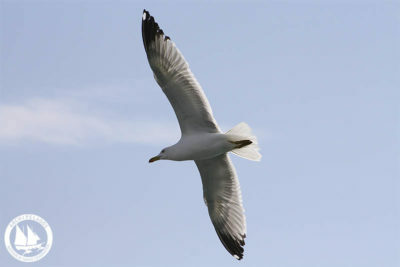 BORIS Software is used for the behavioural monitoring. Photographic material is collected, processed and analysed for identifying individuals comprising the pods of the study areas. 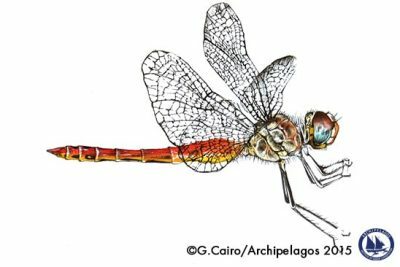 The identification is done by comparing different morphological aspects of the body and fin, such as patches of colour, shape, scars, nicks and notches, all compiled in a catalogue. 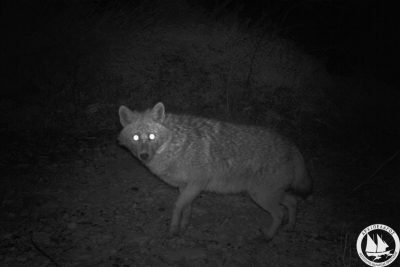 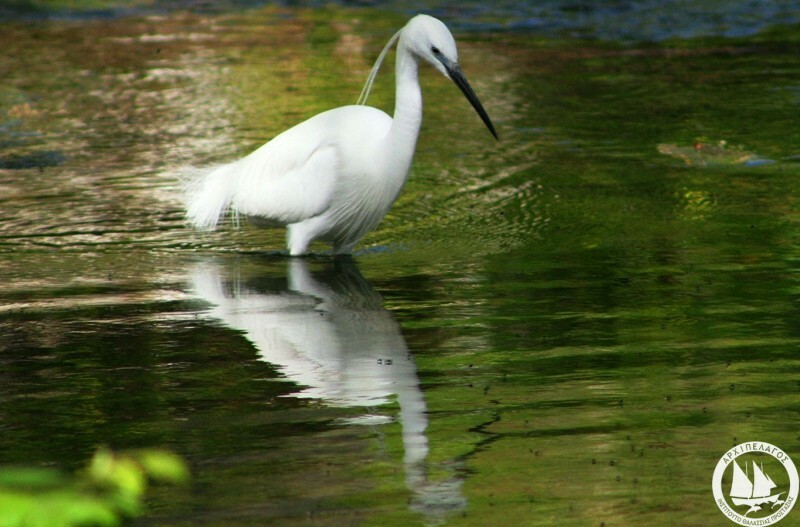 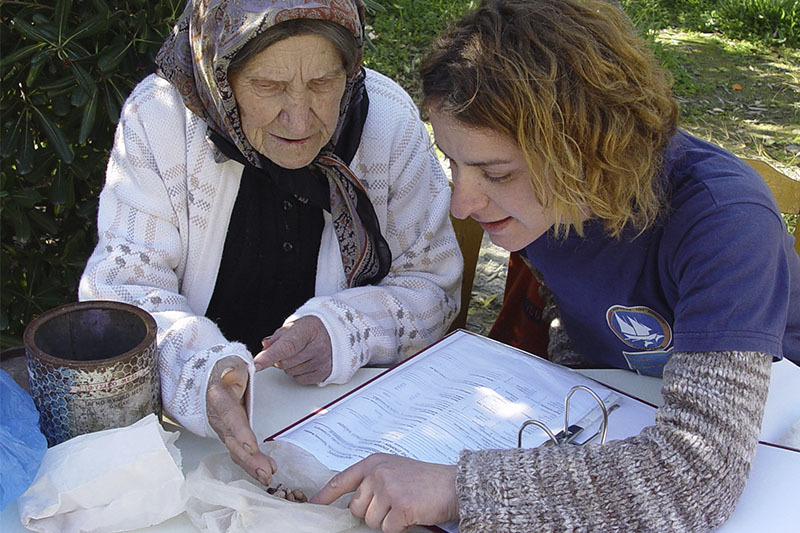 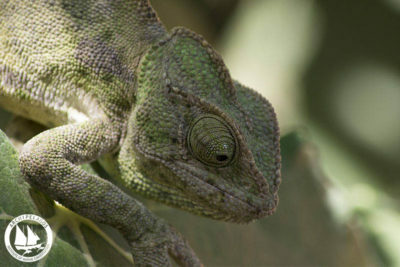 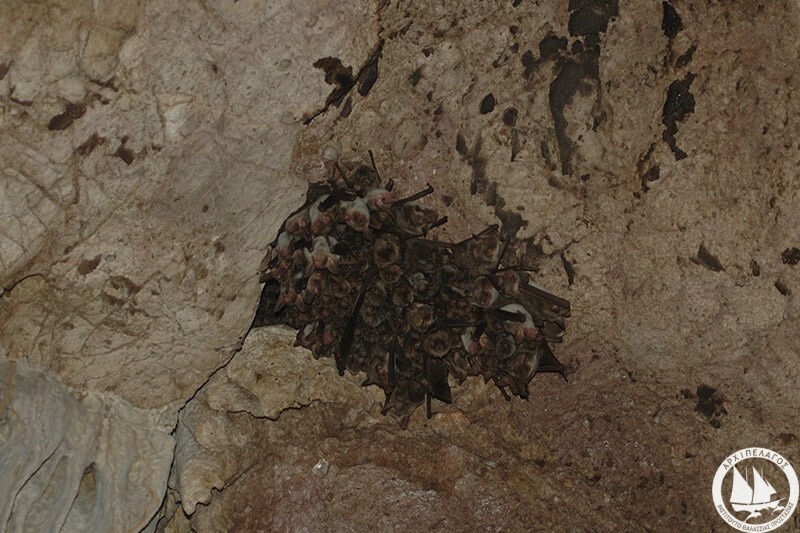 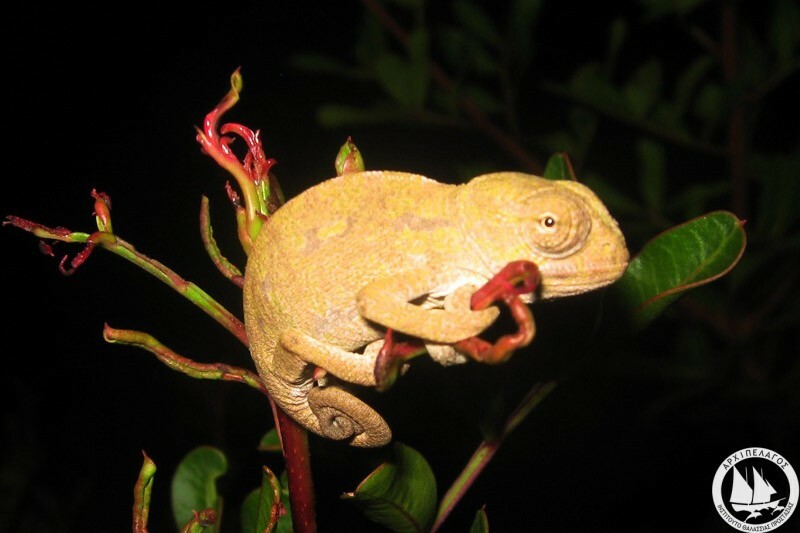 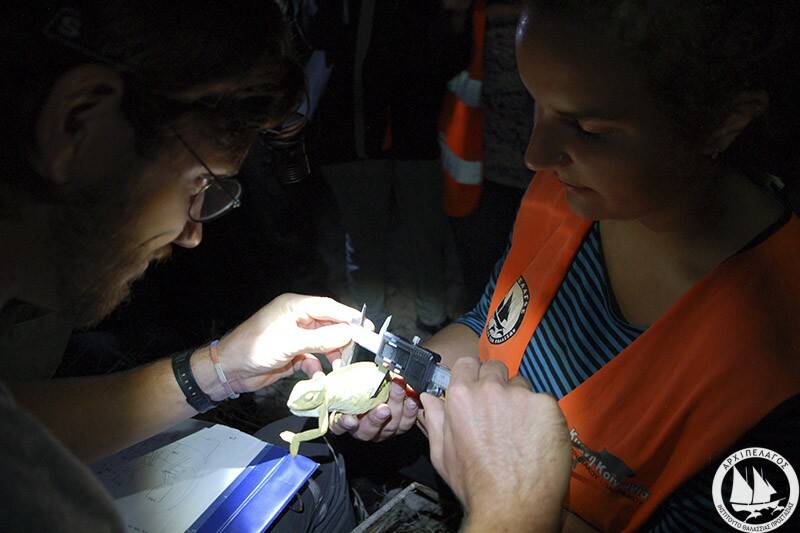 Photo-ID records are invaluable tools in order to assess the changes in population structure over time and identify the residency pattern of target species. The marine mammal team utilizes ArcMap GIS for mapping the populations of species monitored during the surveys and fieldwork. Estimations of the distribution and abundance of different species, as well as hot spots and migration patterns in the sea are obtained. 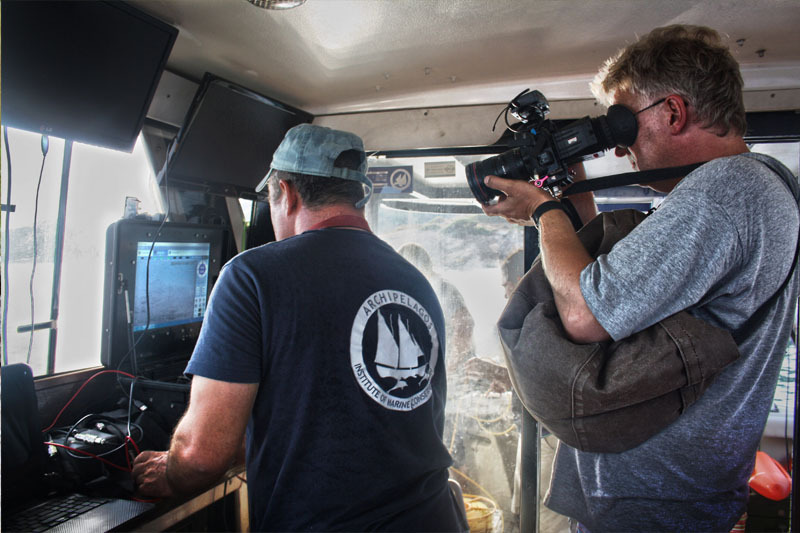 Research on monk seal population includes complete monitoring of the nesting and feeding areas as well as assessing the interaction with fisheries. 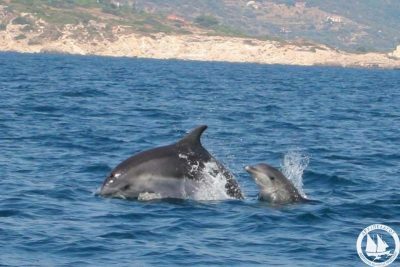 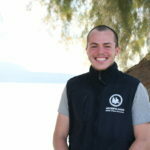 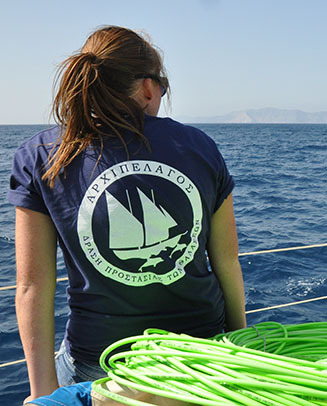 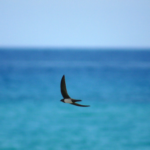 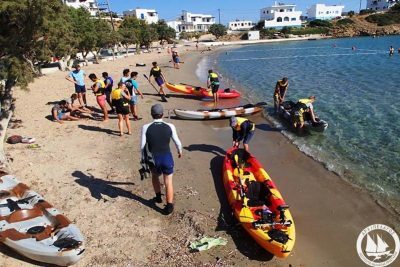 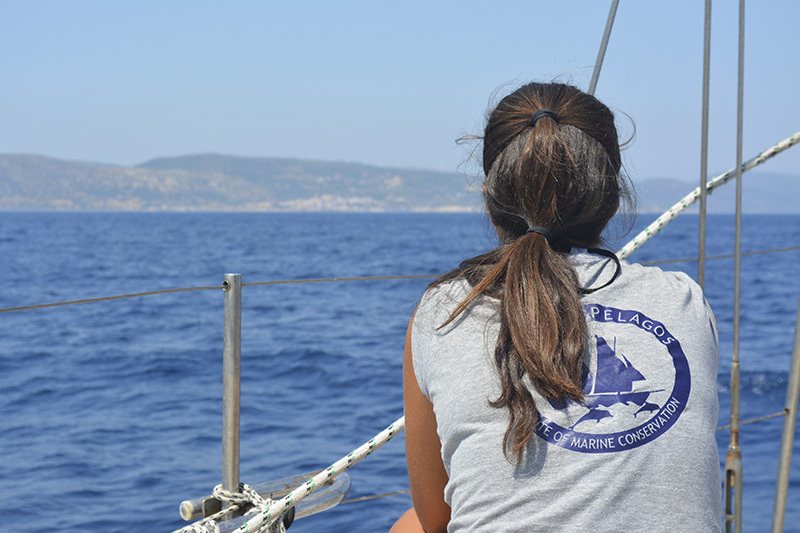 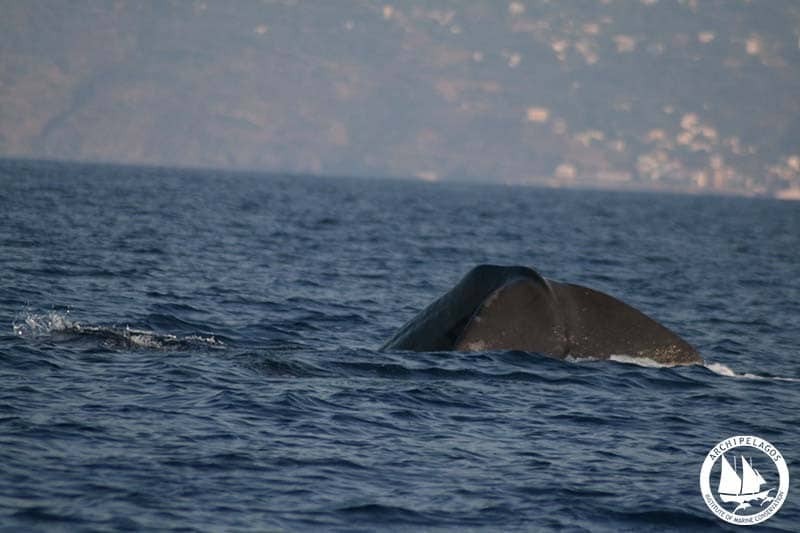 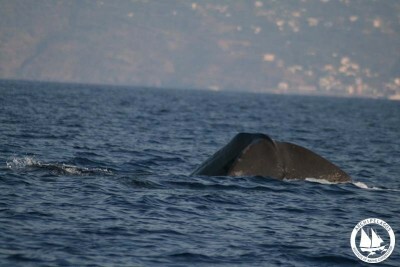 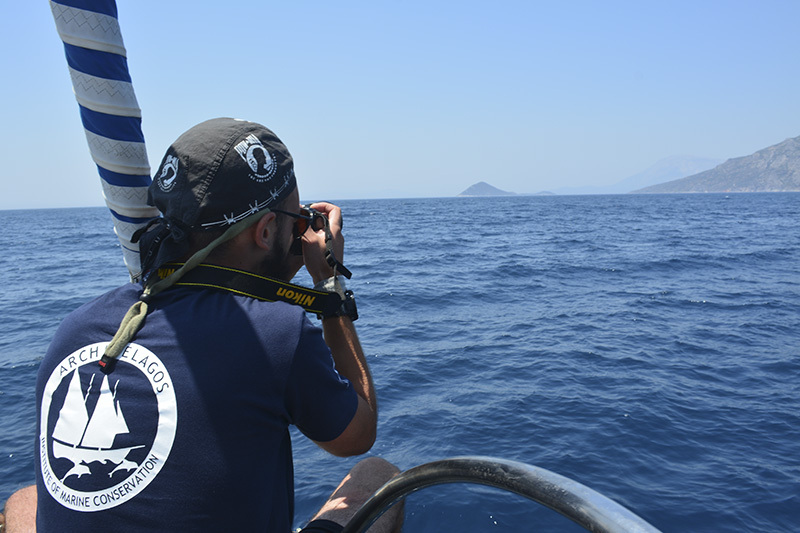 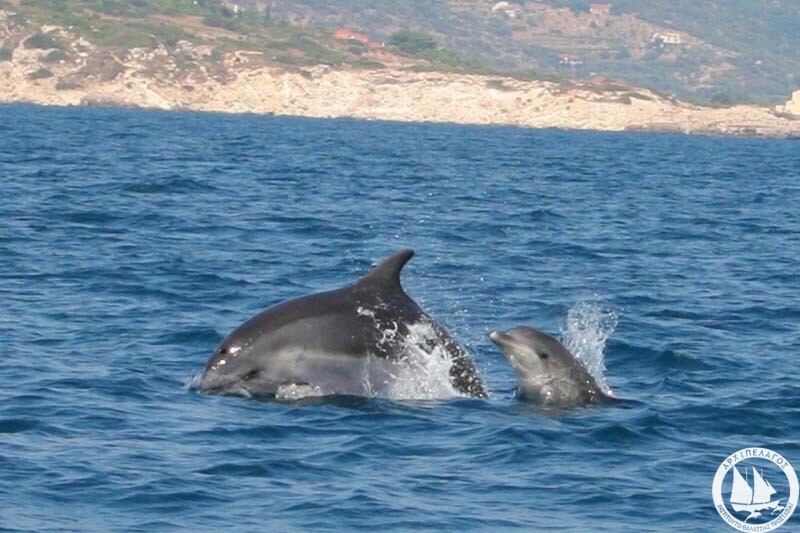 Archipelagos’ team works closely with the local community in its effort to understand the distribution of this important species in the Aegean Sea and reinforce its conservation. 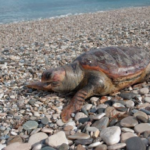 In the eastern Aegean there are no extensive nesting beaches for turtles; however, various sites have recorded presence of nests. At the same time, rich feeding areas are abundant in the region; therefore turtle encounters occur year round. 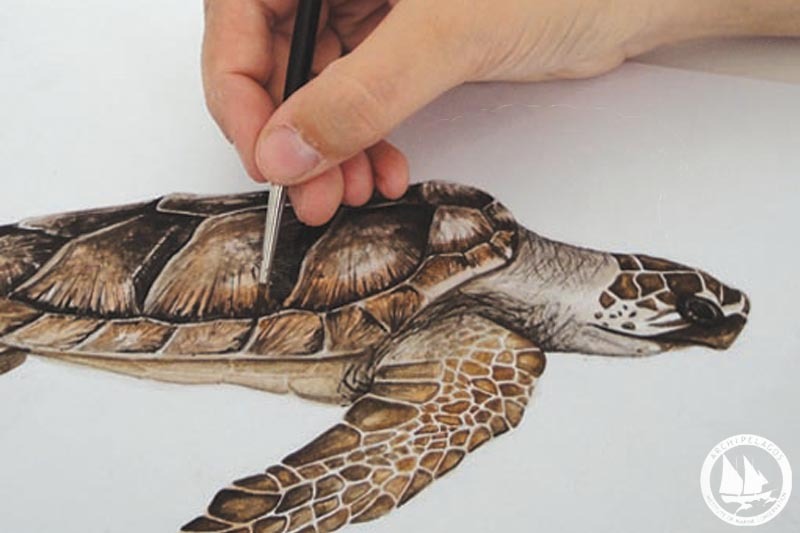 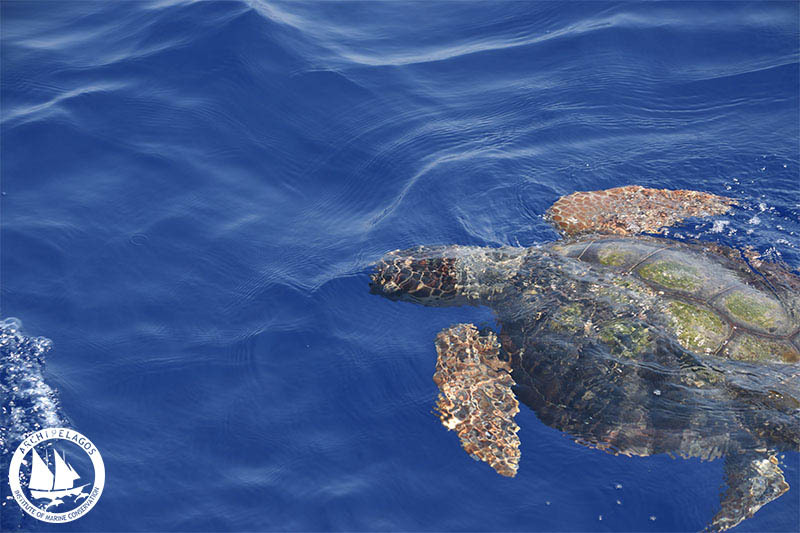 Archipelagos’ turtle monitoring project includes various activities ranging from observation at sea, monitoring the nests, administering first aid to injured turtles and performing necropsies of turtles found dead in the region. 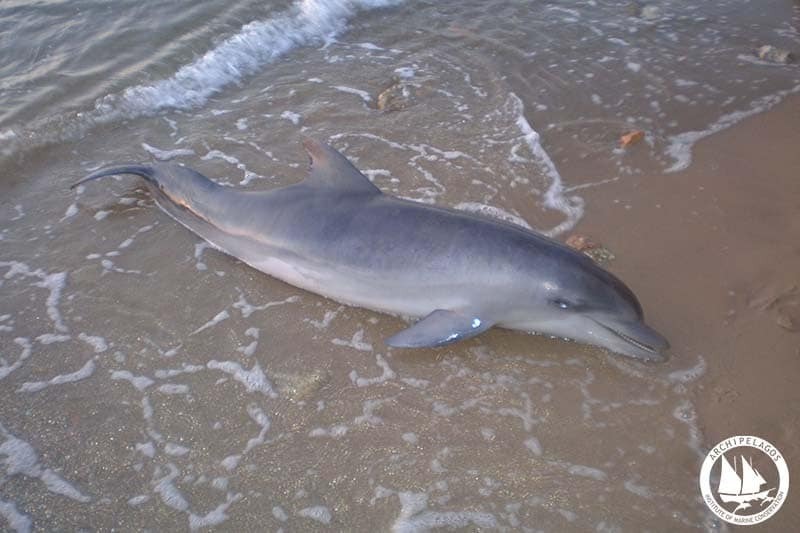 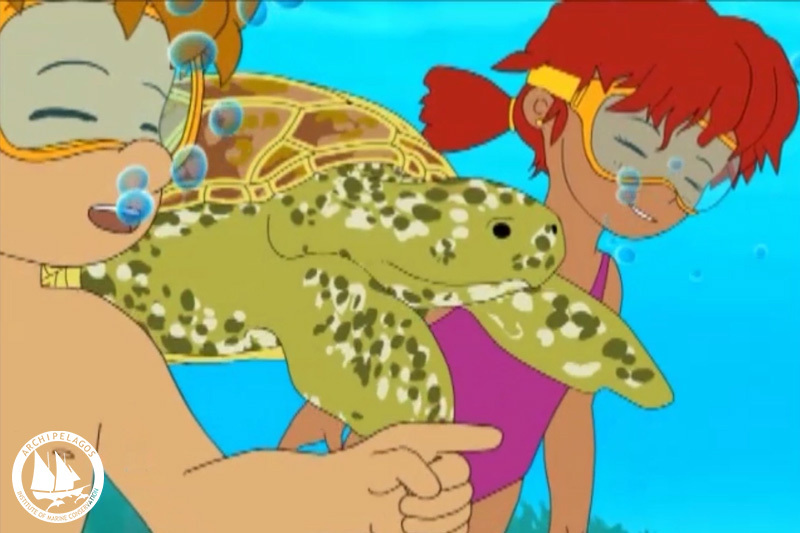 Archipelagos’ team takes part in rescuing stranded marine mammals and turtles when such incidents occur in the region, providing first aid in order to improve the health of the animal or conducting necropsies when the individual is already dead in order to determine the cause of death and to collect samples for analyses (e.g. 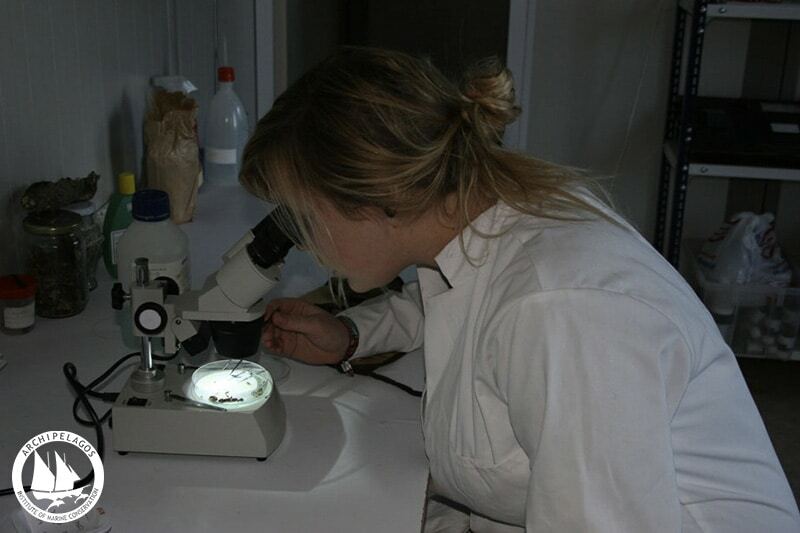 macro and microplastic content, toxicological, DNA and stomach content). 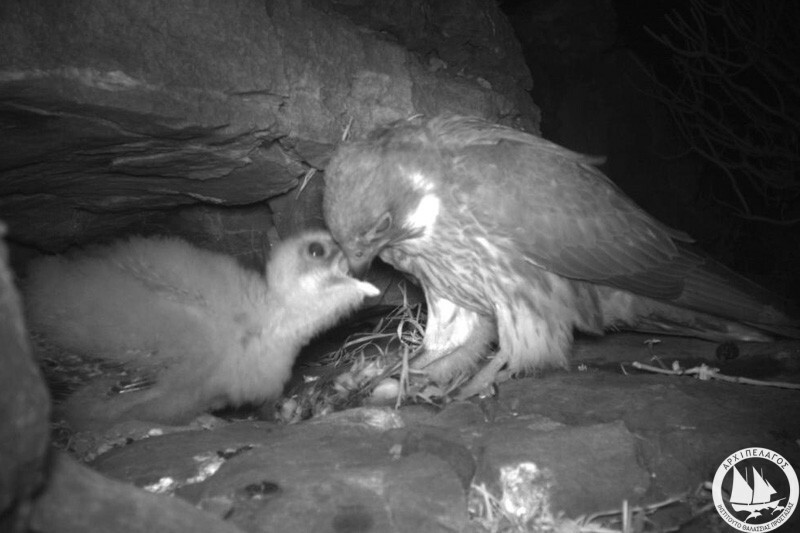 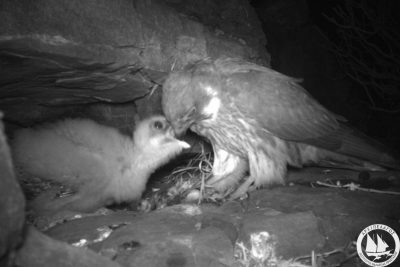 Through this work, we can gain a better understanding of the factors that threaten the populations of these charismatic animals and take actions that will efficiently protect them. 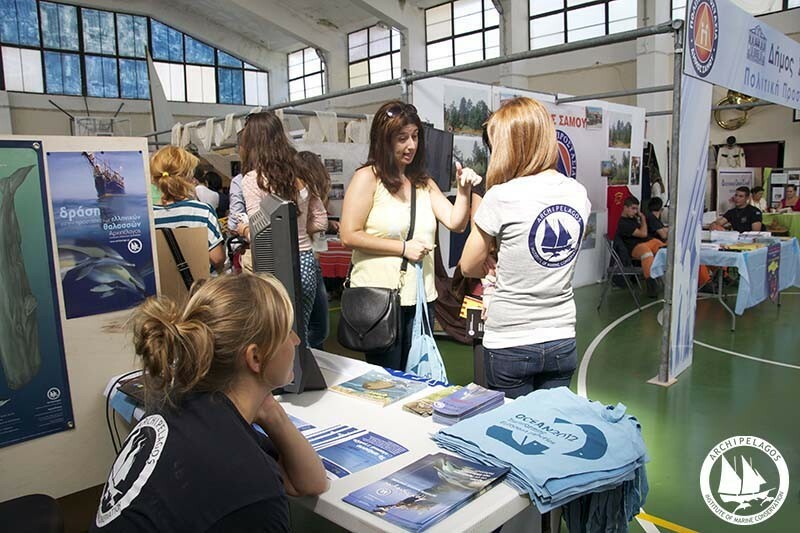 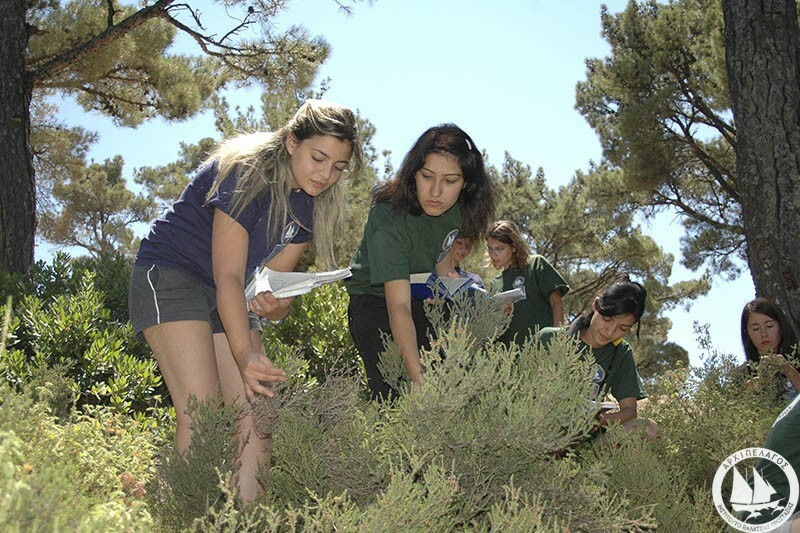 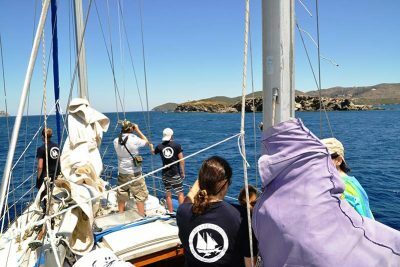 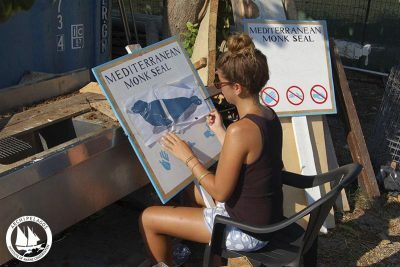 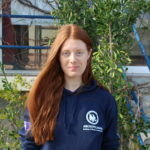 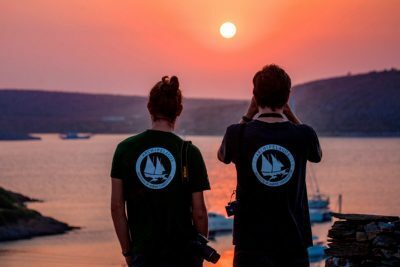 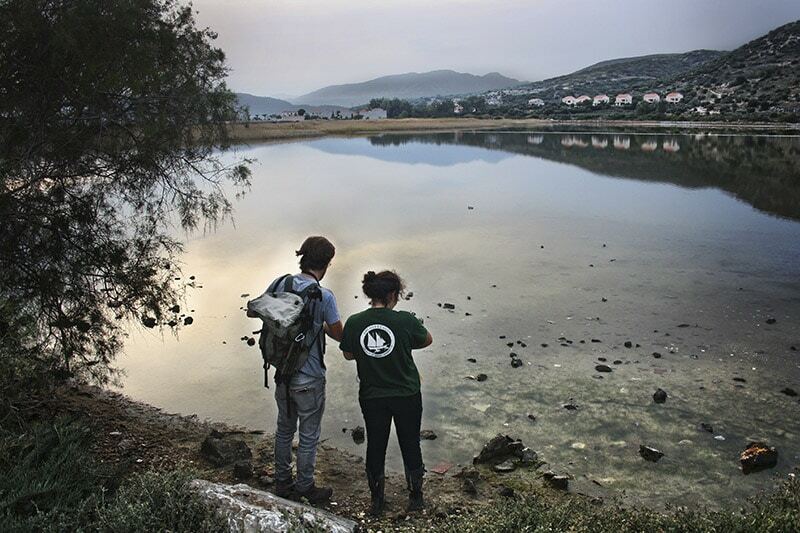 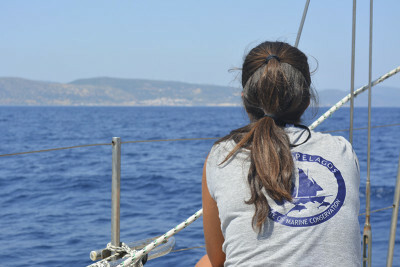 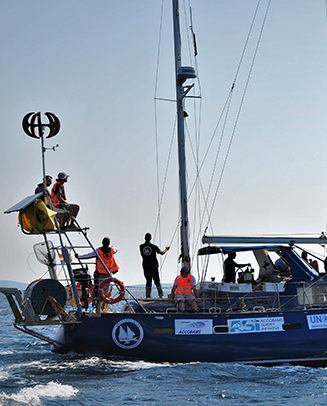 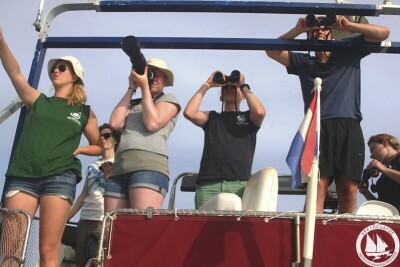 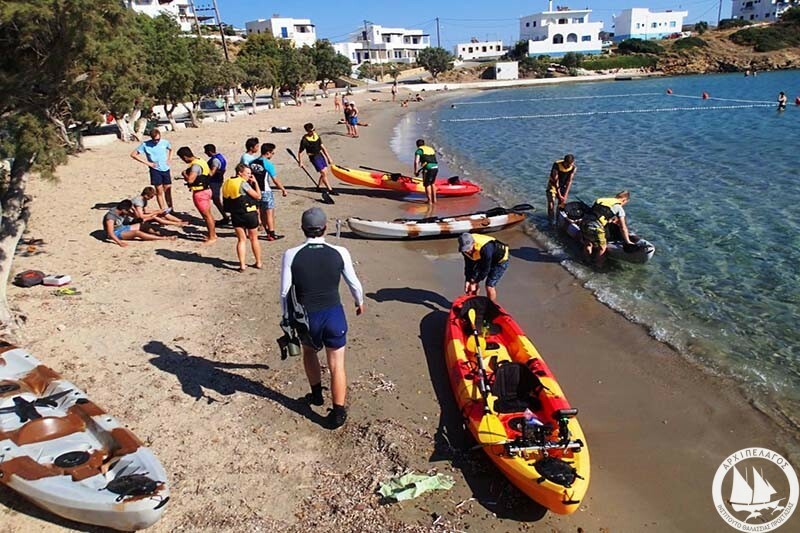 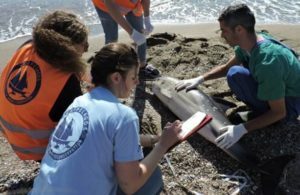 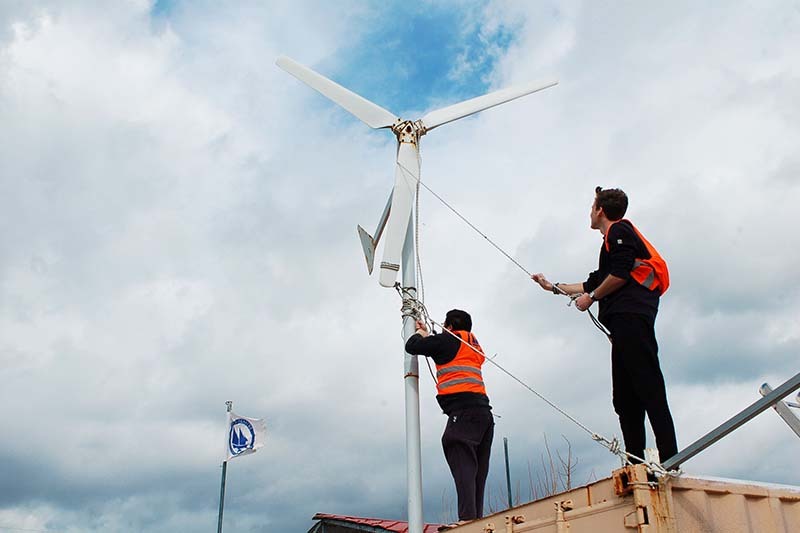 Marine Mammal Team members take part in the various aspects of the Aegean Marine Life Sanctuary which aims to provide, for the first time in the world, rehabilitation facilities in a natural environment for dolphins rescued from captivity, as well as serving as a research and educational facility. If you want to learn more click here. 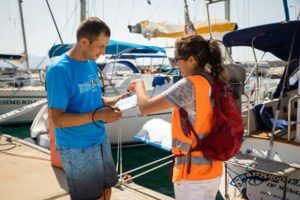 Archipelagos has developed a citizen science platform where sailors, divers, fishermen, sea enthusiasts and tourists can report their observations from their time at sea. 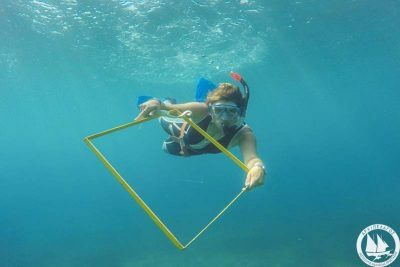 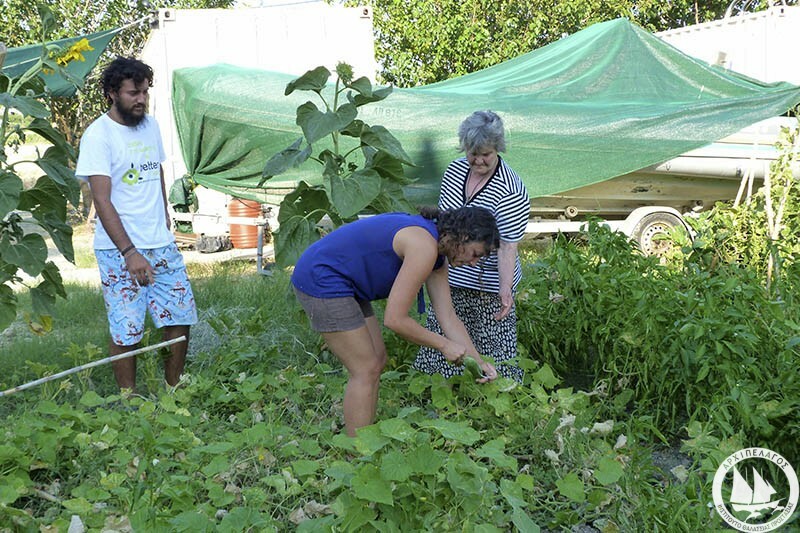 The actions undertaken by the team consist in meeting locals and tourists in different islands in order to raise awareness for the environmental protection as well as engaging the communities to collaborate with the research. 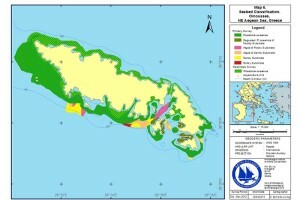 - Mapping the distribution of P. oceanica meadows through a combination of boat and kayak surveys. 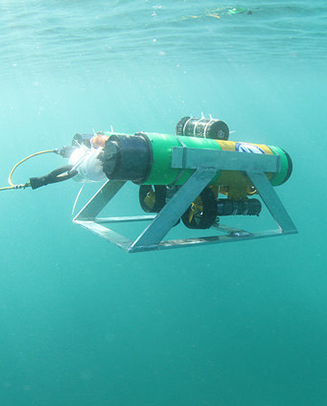 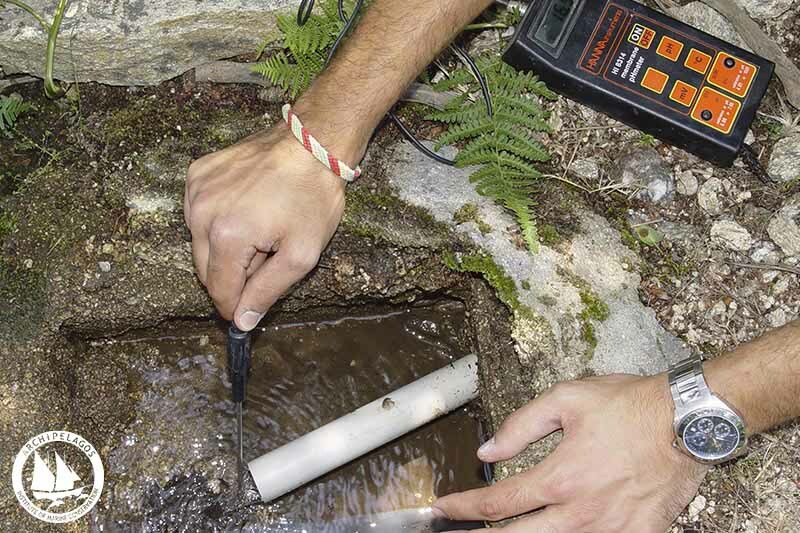 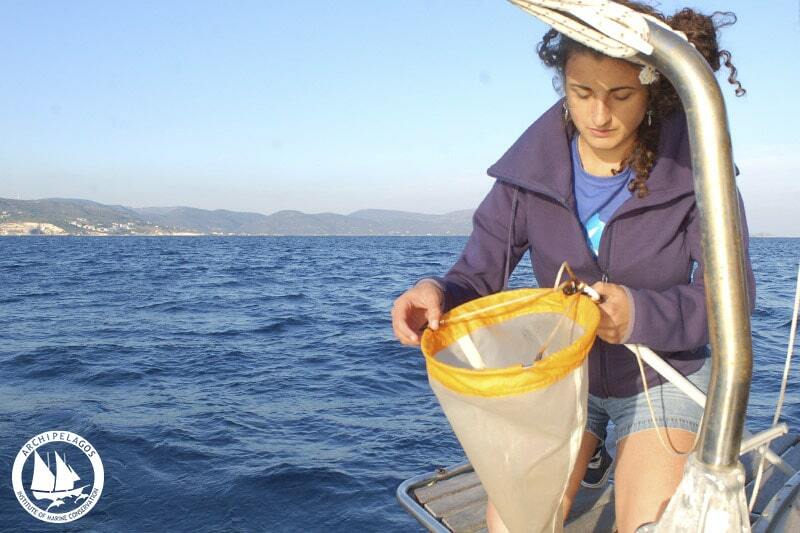 - Blue Carbon studies: measuring P. oceanica‘s capacity of storing Carbon and producing oxygen. 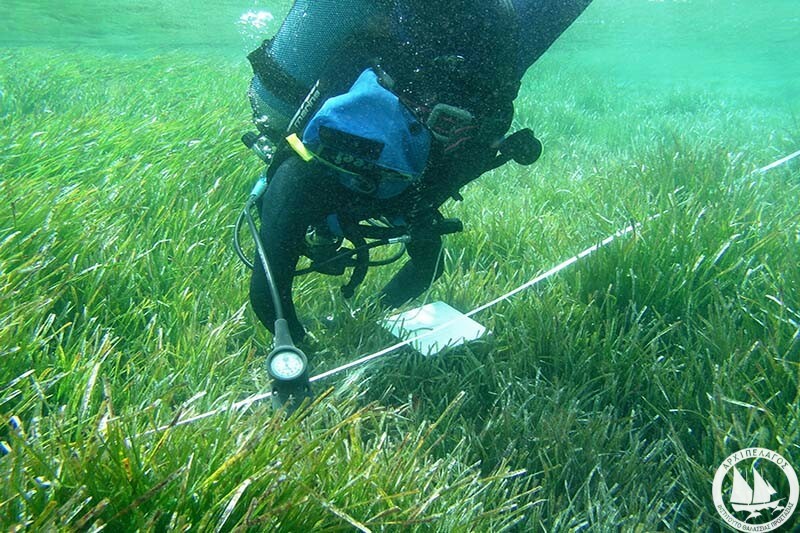 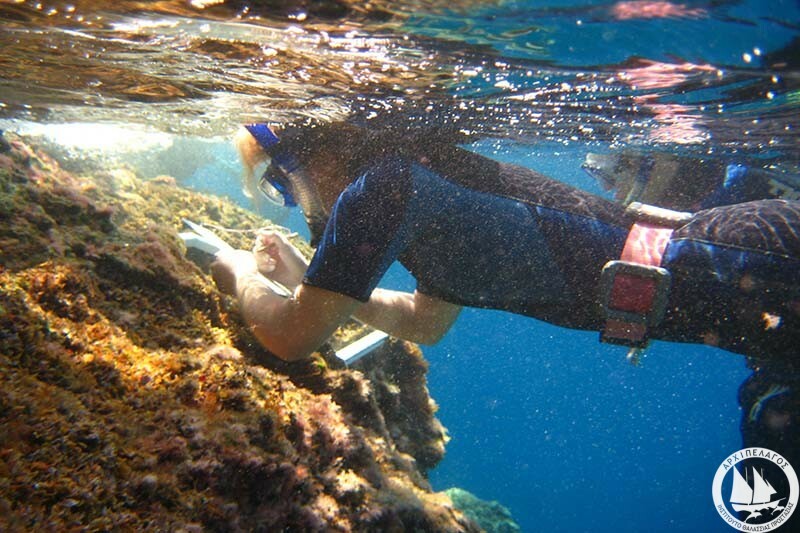 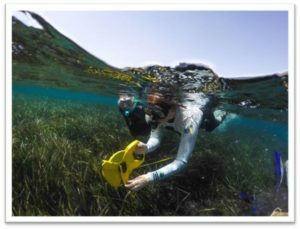 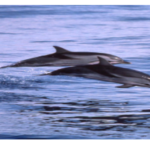 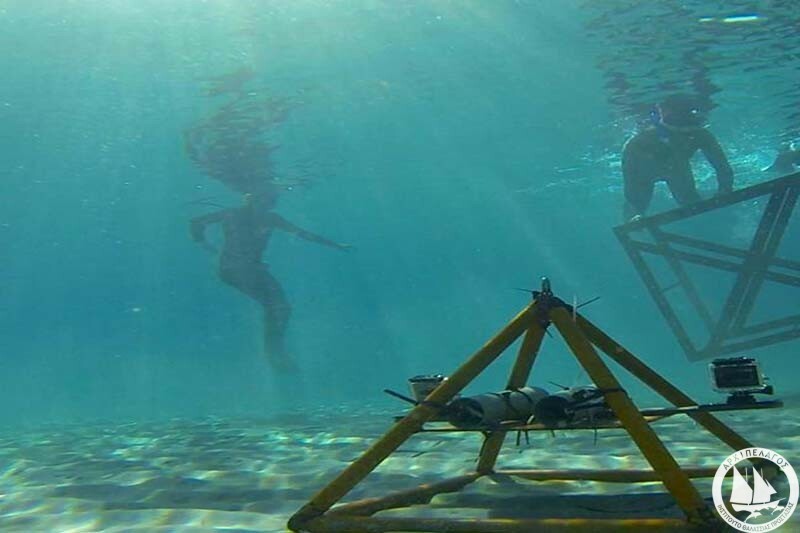 - Evaluation of the health of P. oceanica meadows through snorkel-based surveys. 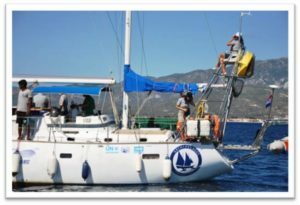 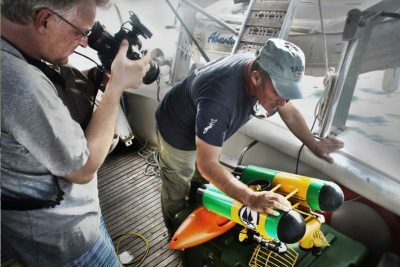 - Participatory GIS surveys and boat-based surveys with the use of a cartographic camera, structure scanner and an ROV. 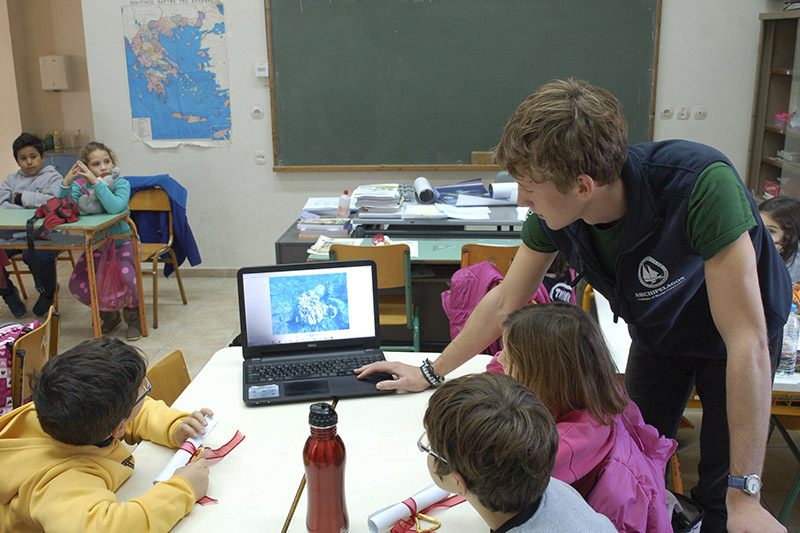 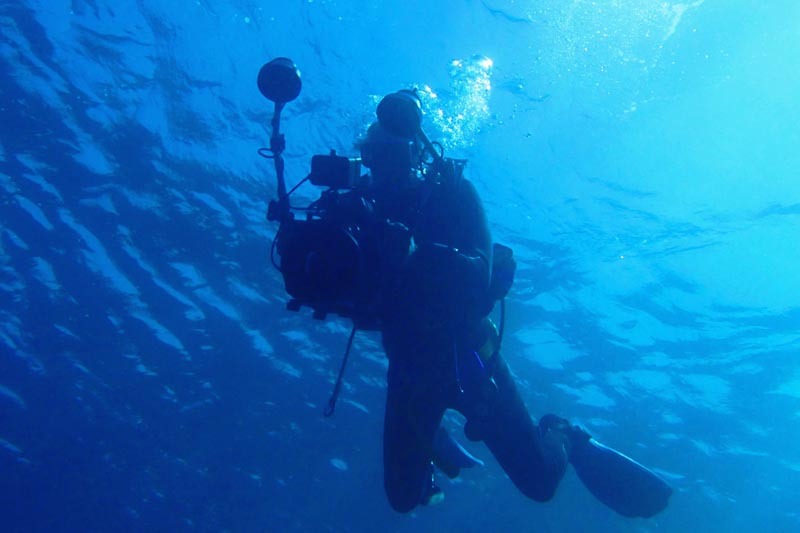 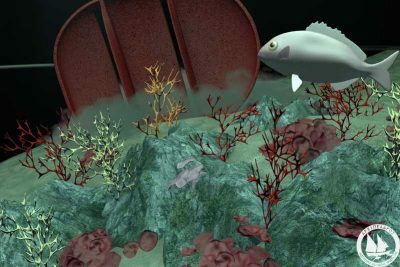 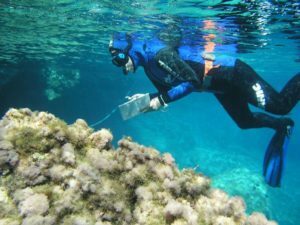 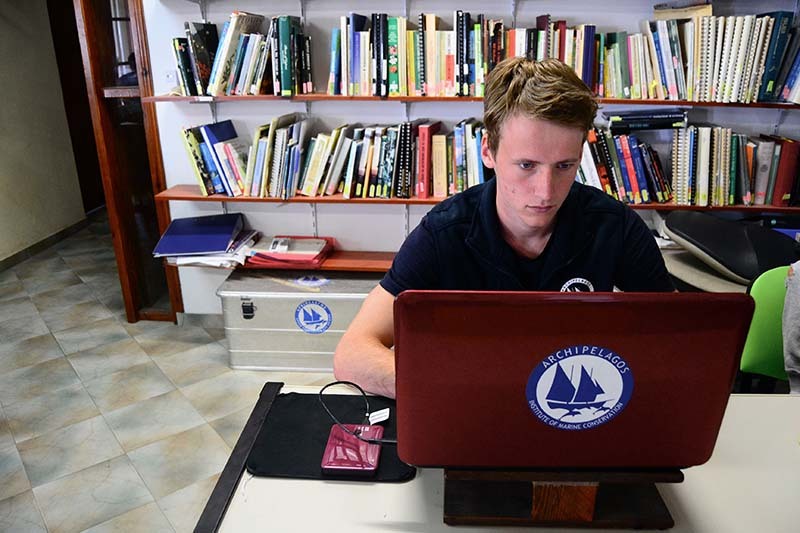 - Creating a map of coralligenous reefs in the eastern Aegean. 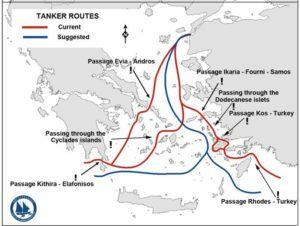 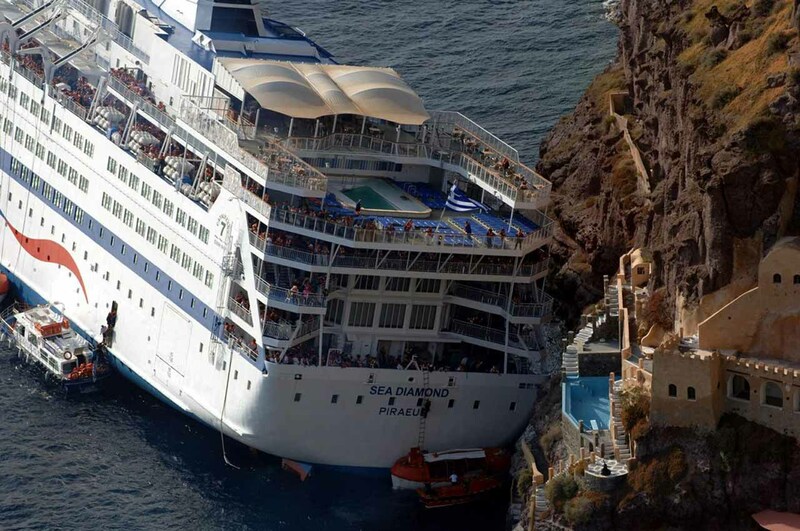 - Assessing and analyzing the shipping risks. 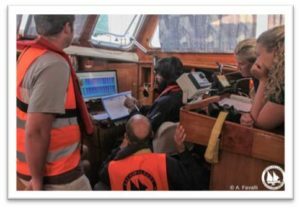 - Collaborating closely with local small-scale fishermen to obtain data on landings, fishing areas, etc. 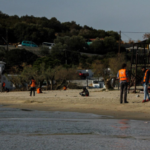 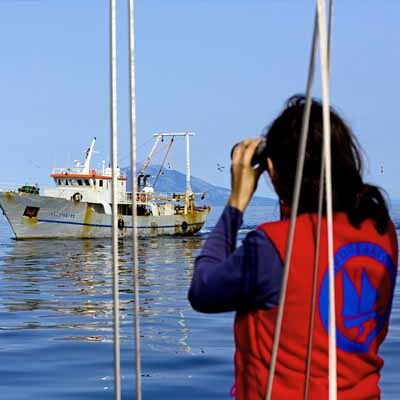 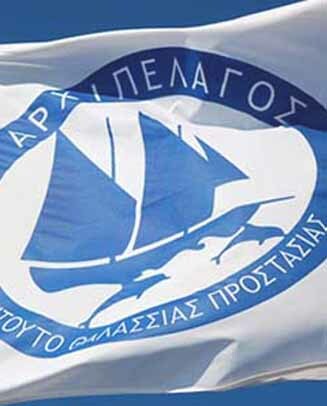 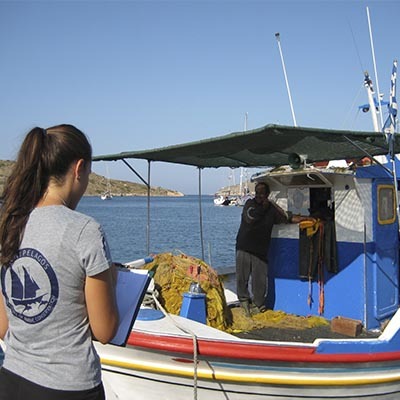 - Estimating the scope of illegal practices in the region and Greek waters, with the aim of reporting them to the authorities and help establishing more effective measures against IUU and commercialisation of endangered species. 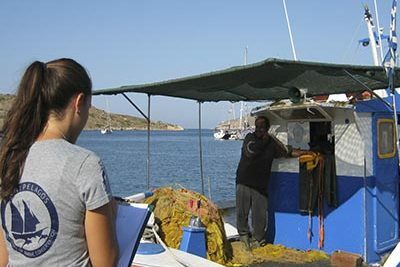 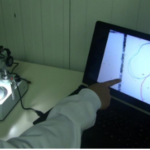 - Analyzing the impact of aquaculture on coastal habitats and the accuracy of existing Environmental Impact Asssements. 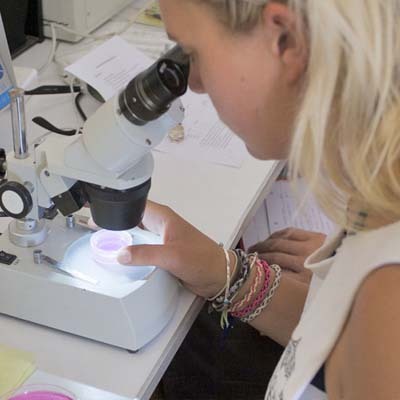 - Collecting preliminary data to identify the impacts on biodiversity caused by different aquaculture practices and creating models of more sustainable approaches to aquaculture. 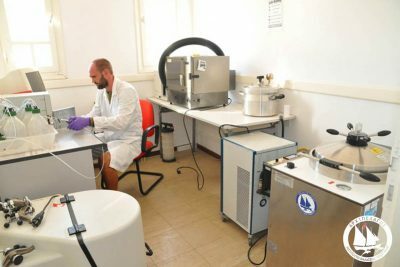 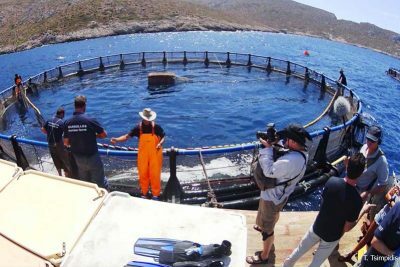 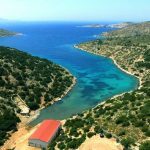 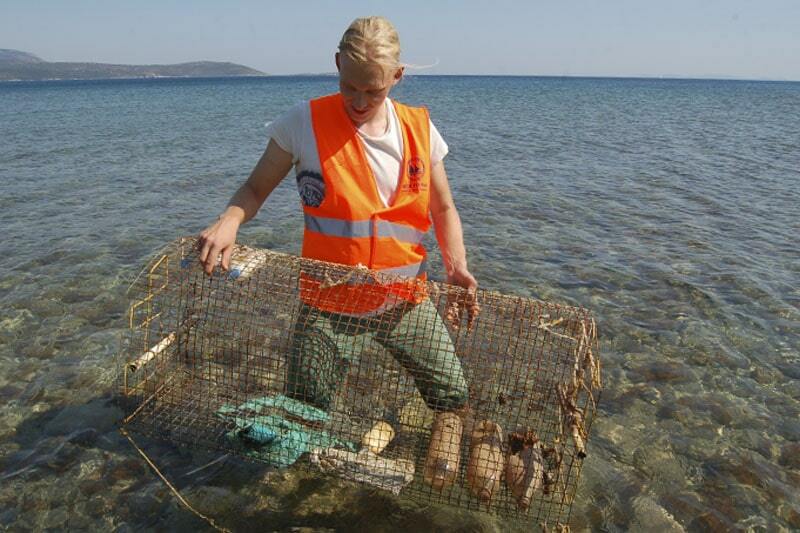 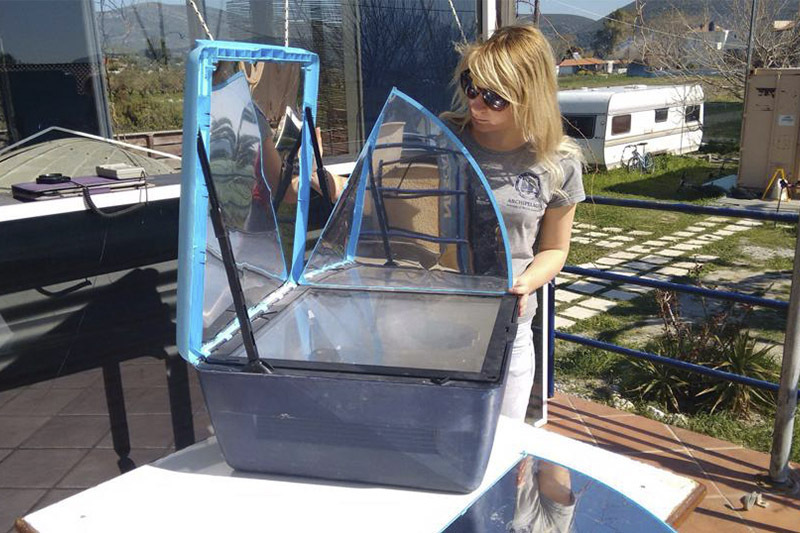 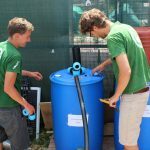 - Cooperating with a medium-sized aquaculture company on Leros island to create an eco-friendly model that respects the carrying capacity of the area. 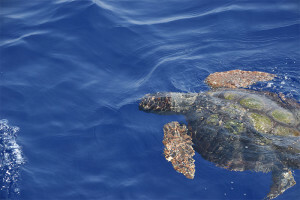 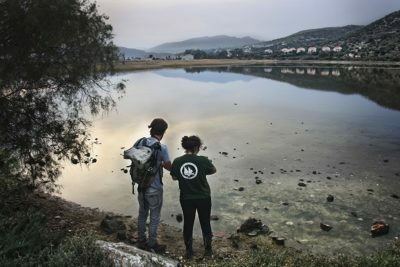 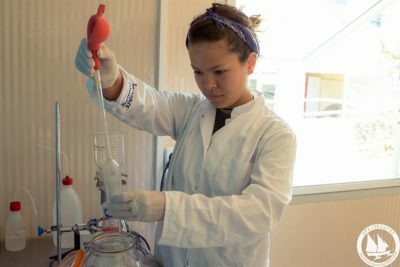 Plastic debris in the form of microplastics endangers the unique biodiversity of the Mediterranean Sea, which hosts around 10% of world’s marine species. 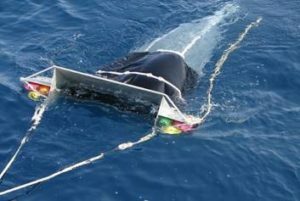 Given the natural and socioeconomic importance of the area, plastic pollution poses a serious threat to both marine and human life. 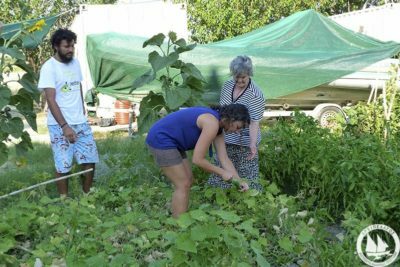 The conservation efforts of Archipelagos Institute can only be successful when shared with the local communities and the general public. 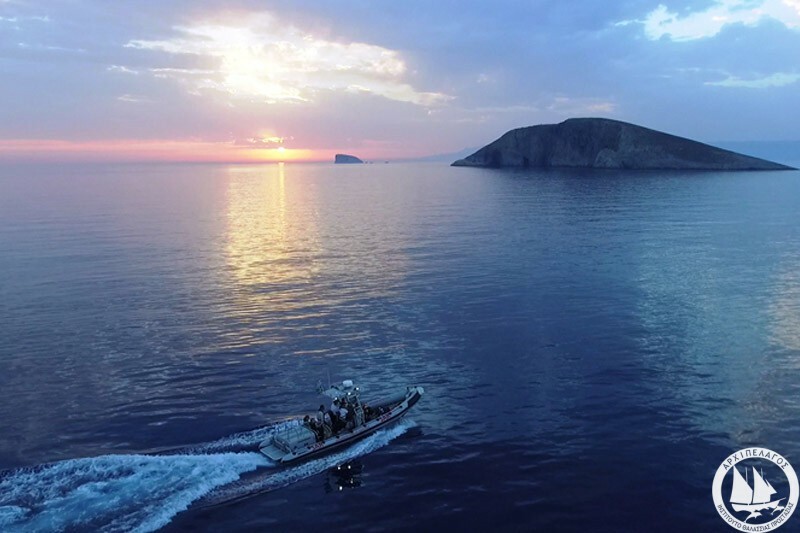 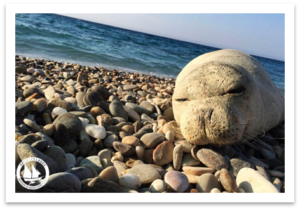 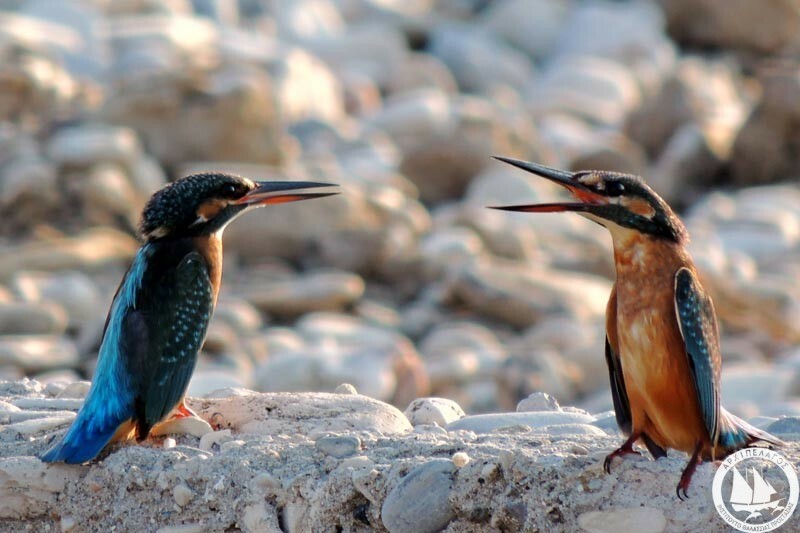 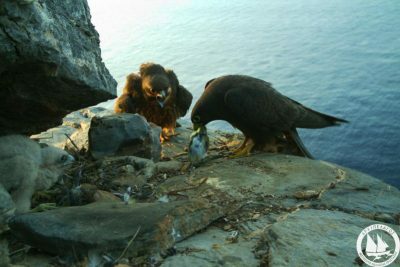 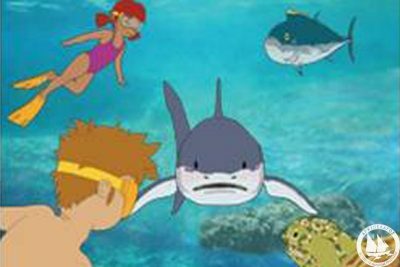 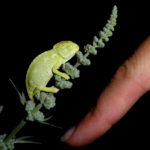 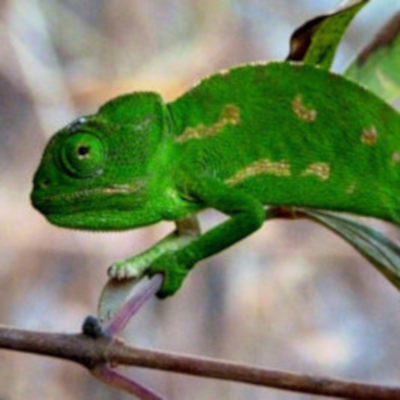 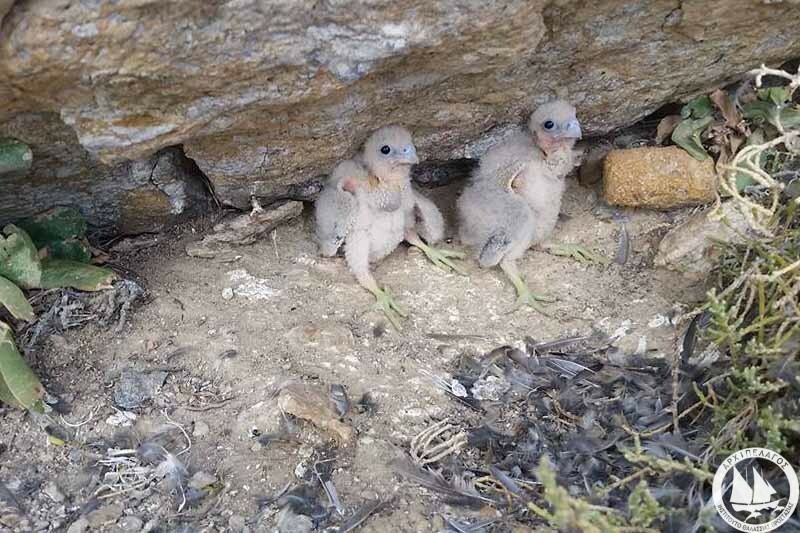 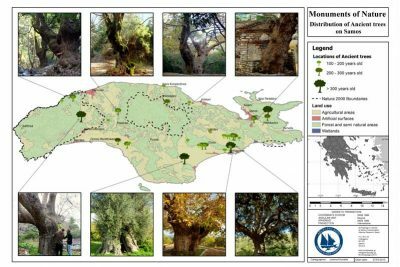 In this regard, documentary videos and films are invaluable tools in depicting the biodiversity of the Aegean, as well as local and global environmental issues. 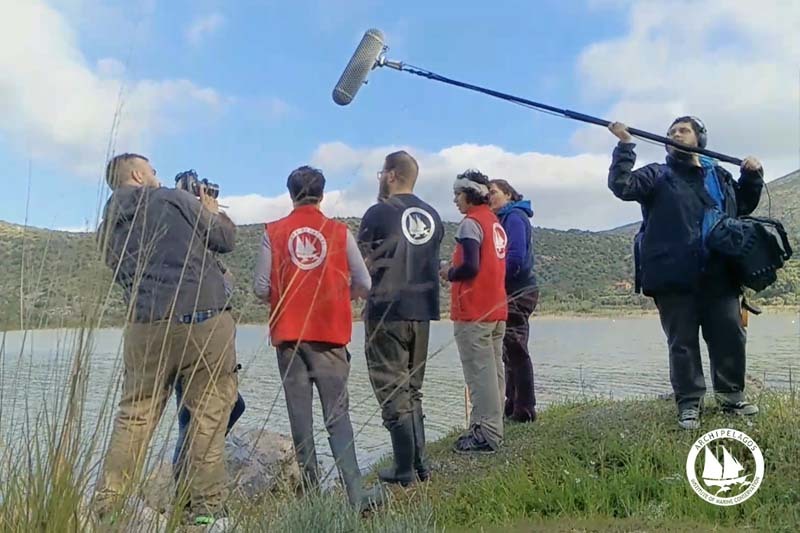 The films are created for various purposes, including awareness videos for children and the general public, as well as for media (TV and social media). 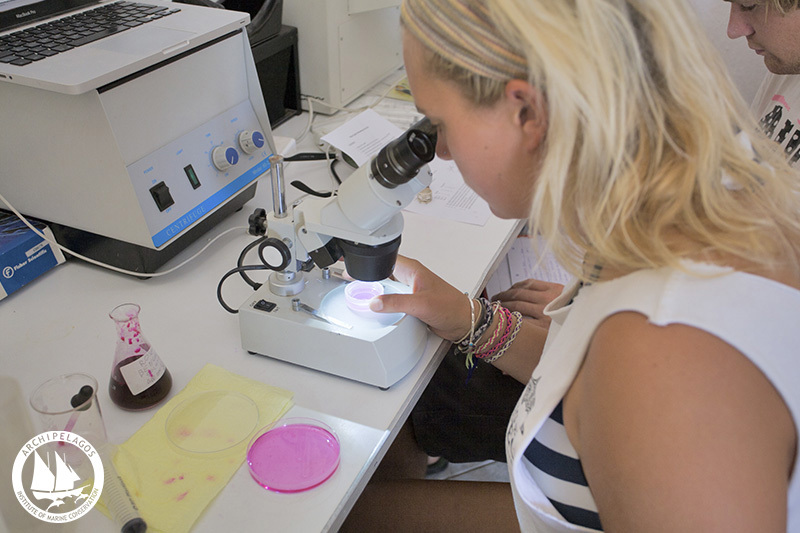 Since 2001, we have hosted over 2,500 students, recent graduates and scientists from all over the world! 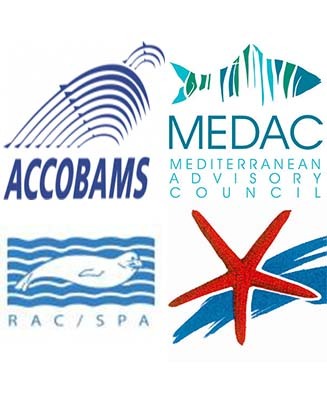 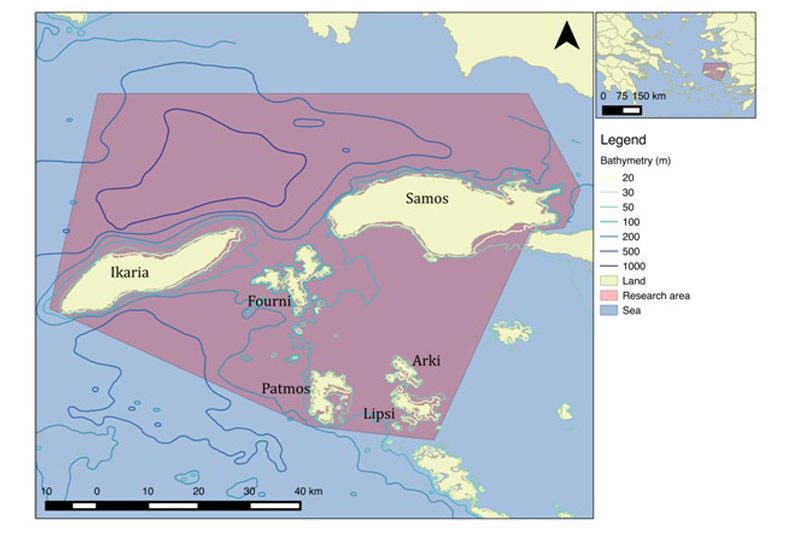 Archipelagos’ research bases and stations in the eastern Aegean Sea, on the islands of Samos, Lipsi, Ikaria, Leros, Arki, Marathi and Oinousses. 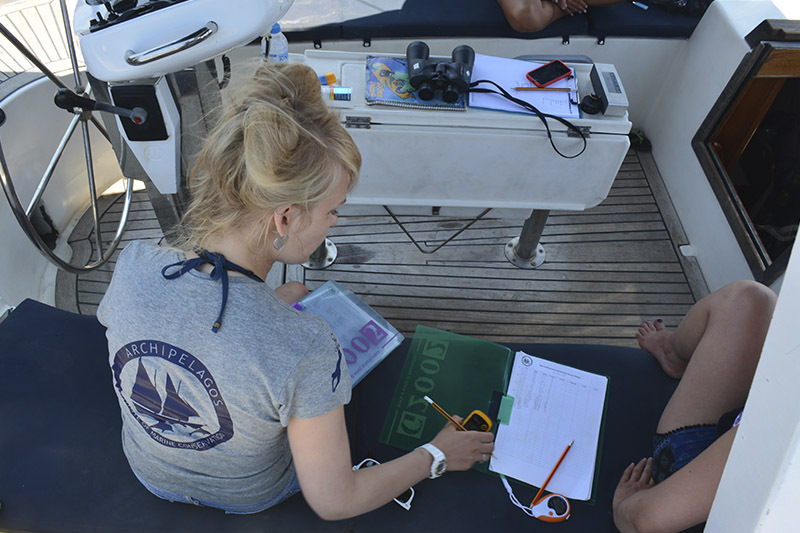 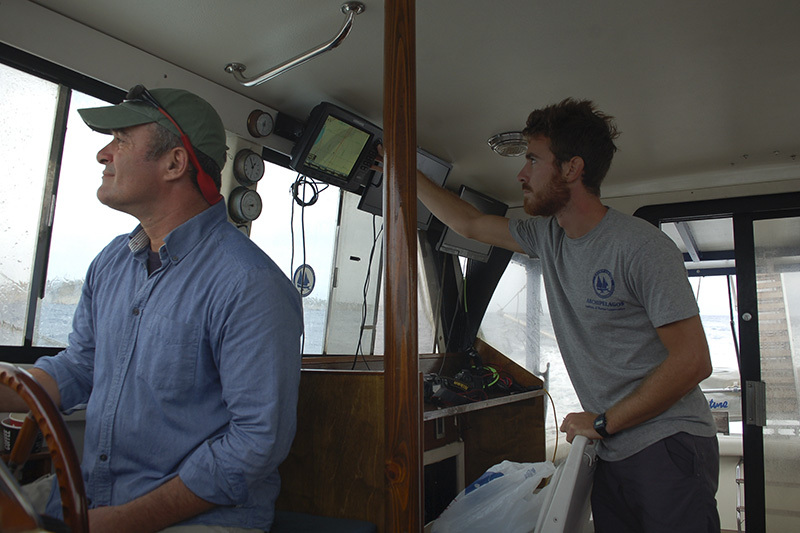 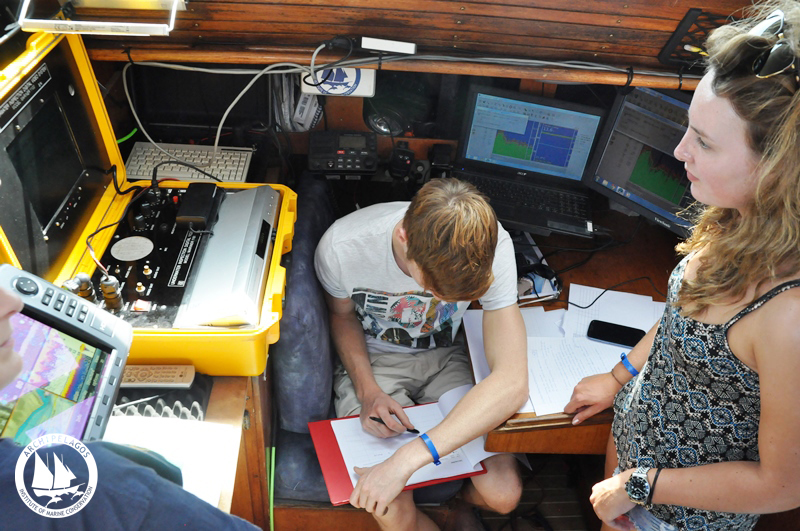 Placements may also include working on board of one of our research boats. Undergraduates and recent graduates of various courses related to biology, ecology, chemistry etc. 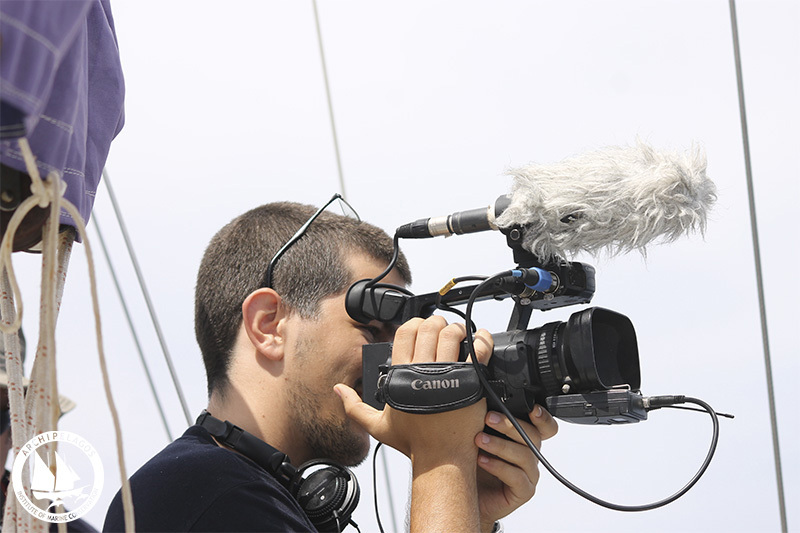 as well as students, bachelors and masters of arts and media related courses.